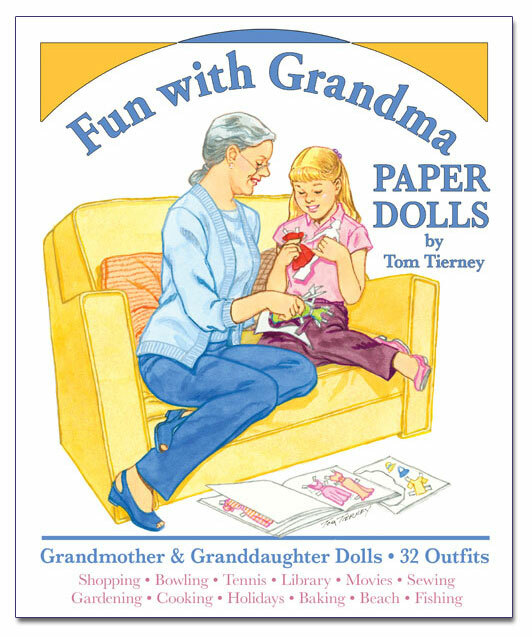 Another fun collection of paper dolls from the colorful imagination of L. Hoerner. 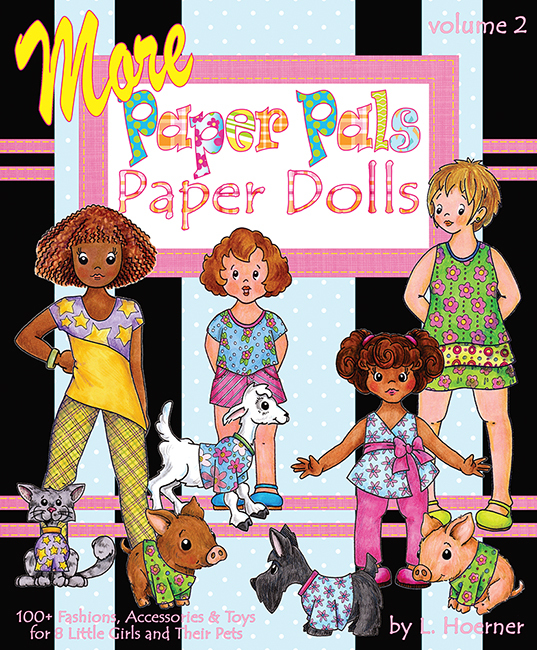 A companion to her first book, Paper Pals Paper Dolls, this offers 8 more cute girls, their adorable pets and 100+ fashions, accessories and toys. The scrapbook style pages are filled with whimsical details. 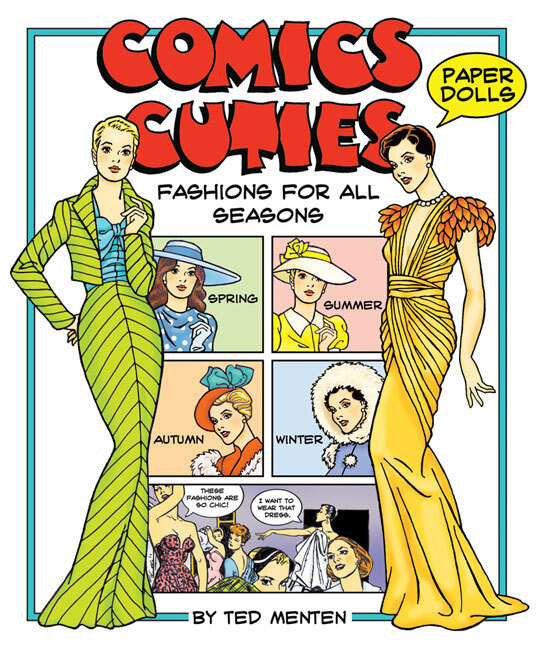 KoKo kitty has a wind-up mouse; Jazzy Jan reads bedtime stories to her Schnauzer, Tuxie; Sassy bakes kitty treats for Foxy; JillyBean has a box of Crunchy Corn Treats for her pot bellied pigs; Linda Lou feeds skunk kibble to her her silky-haired skunk, Sammy; and JoBeth's goat eats a paper doll book! 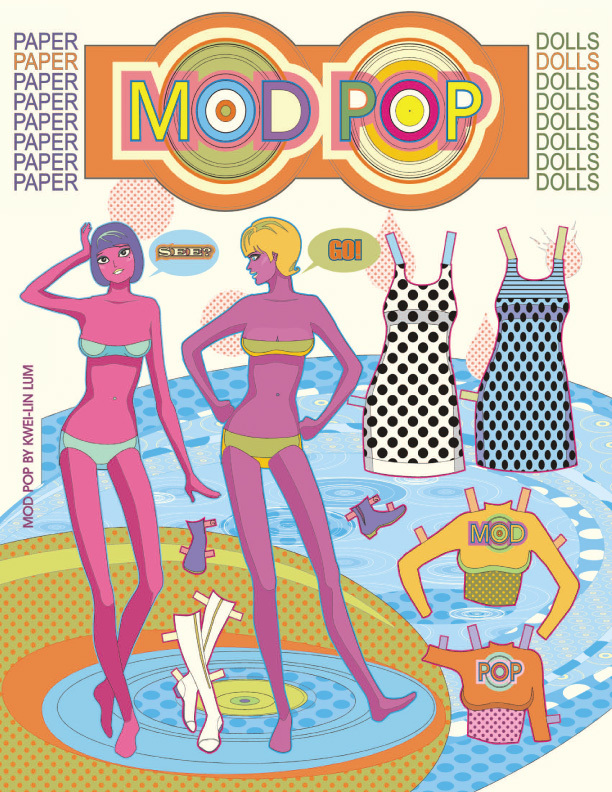 Kids and collectors alike will enjoy these adorable paper pals. Model: Cute clothes for kids and pets!